Winter, 1917. Dorothy never really thought that war would take her older brother, but like so many others before him, Ian enlisted and departed Canada in khaki, leaving Dorothy to care for the youngest Gaston, Charlie. The return of her employer's son eats away at Dorothy: why should he, the rich man's son, the spoiled brat, be back home sleeping in his bed while her brother sleeps in the muck somewhere in France or Belgium? Robbie Monroe isn't the brat who ran off for a great adventure. Nearly deaf in one ear and deeply lonely, he is a man struggling to put his life back together after his time "over there," and Dorothy seems to be the only one he can talk to. She doesn't want to trust him but she can't help it, and Dorothy soon finds herself with something she didn't realize she desperately needed: a friend. Before the war's end, fate has one final reminder for Dorothy that happy endings don't always happen in real life, no matter how much she tells herself they can. 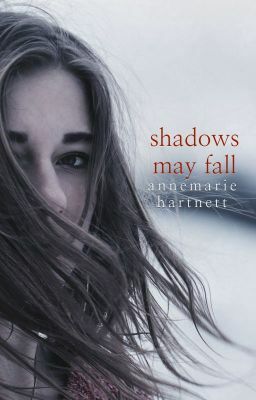 Set in in the weeks before the 1917 Halifax Explosion, Shadows May Fall is a non-traditional World War I romance.